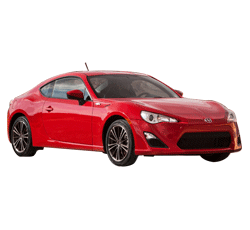 The Scion FR-S has become one of the most sought-after sports cars on the market. Owners rave about the coupe’s great fuel efficiency and exceptional handling on the road. While there are other options on the market, most are significantly more expensive. The rear-wheel-drive sports car also boasts a five-star safety rating. Only a few changes have been made to the 2015 Scion FR-S. However, the coupe’s suspension system has been tweaked to deliver a more composed driving experience. This means that the new FR-S should handle even better than last year’s model. Prospective buyers will also have the opportunity to choose a special Release Series 1.0 edition. In regards to value, the new Scion FR-S is at the top of its class. Prices for the FR-S start at about $24,900. However, a fully-equipped version can easily be purchased for less than $30,000. 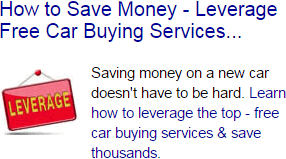 This is good news for the budget-minded drivers who are seeking to buy a legitimate sports car. The 2015 FR-S comes equipped with a naturally-aspirated 2.0-liter, four-cylinder engine. With a total output of 200 ponies and 151 pound-feet of torque, the engine provides just enough performance to have fun. This makes the FR-S a great option for first-time sports car buyers. Typically, sports cars are not known for being easy on gas. Fortunately, the FR-S has an outstanding fuel economy rating. Drivers who opt for the manual transmission can expect to get 30 mpg on the highway. On the other hand, the automatic model is rated at an impressive 34 mpg on the open road. Some drivers enjoy the excitement of using a traditional manual gearbox. Unlike some of the other sports cars on the market, the Scion FR-S comes standard with a six-speed manual transmission. In an effort to enhance the sportiness of the optional automatic transmission, it has been engineered with rev-matching technology. On the road, the Scion FR-S handles like a well-crafted race car. Whether you are commuting to work or cruising along a country road, you can expect the FR-S to deliver an athletic driving experience. The car’s lightweight chassis and stiff suspension setup enables it to maneuver effortlessly on the road. Although turbochargers can boost an engine’s performance, they may require additional maintenance. Furthermore, the cost to replace a malfunctioning turbocharger can cost thousands of dollars. The FR-S features a naturally-aspirated engine, which helps to reduce the long-term cost of ownership. The 2015 Scion FR-S is very easy on the eyes. The car’s curvaceous design is destined to turn a few heads. While the standard model is gorgeous in its own right, the available Release Series 1.0 edition truly stands out with its yellow paint job and unique body kit. Despite the fact that the FR-S may appear small on the outside, it actually provides ample room for the front passengers. Even tall drivers will find the available leg room to be more than adequate. All versions of the FR-S come equipped with a significant number features. Some of the standard goodies include a touch-screen display, a 300-watt sound system, and Bluetooth connectivity. The dealer-installed options include navigation, fog lights, and a performance exhaust system. The Scion FR-S has a fun factor that cannot be overlooked. Although it will not be able to hang with a Mustang in a drag race, it will easily outshine most of its rivals on the track. While most drivers will be satisfied with the Scion FR-S, there will be some people who crave more power. As of now, the Scion FR-S only offers one engine choice. Cars like the new Ford Mustang EcoBoost and the Hyundai Genesis produce notably more power. The backseat is only suitable for small adults and children. The FR-S is certainly not considered a family car. An AWD system is not available on the FR-S. This could present a problem for the drivers who must deal with snowy weather. In terms of performance and handling, the FR-S is on the same level as the Mazda Miata. While the Honda Civic Si delivers a sporty driving experience, the FR-S handles a tad bit better on the road. The FR-S also has a better safety rating than the Ford Fiesta ST. Drivers who are seeking an affordable sports car should definitely consider the 2015 Scion FR-S. The car’s nimble handling elevates it to the top of its class. Furthermore, the Insurance Institute for Highway Safety chose it as a Top Safety Pick.